After Black Sheep Gathering last weekend I now own two fleeces . The time has come to learn how to process them. In preparation for this project, I picked up some washed Romney locks so that I could practice my wool carding. 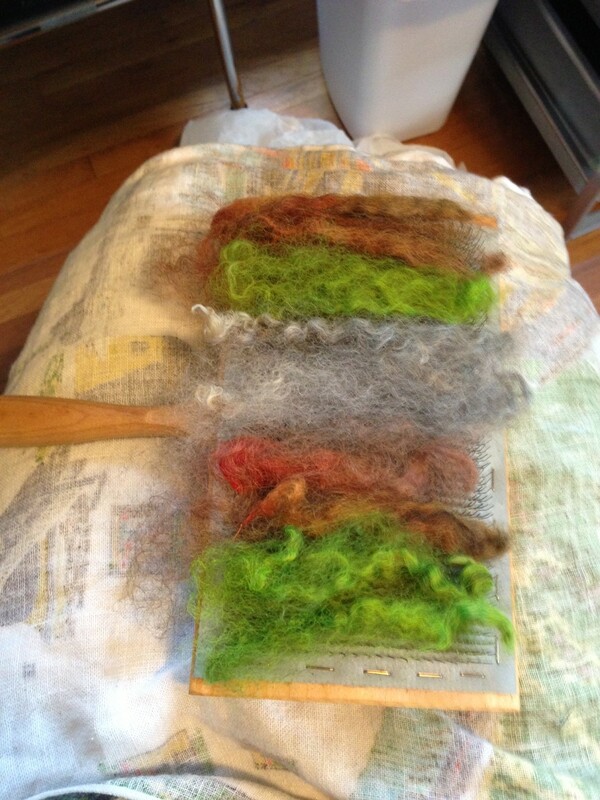 I wanted to be able to clearly see what was happening to the wool while I carded it, so I chose three very different colors: red, green and natural. These aren’t colors I would normally combine, but I decided to take a risk in the name of science. Here are the three colors laid out on my hand carders. The very worst that could happen would be that I would produce some very fugly yarn . I can live with that. Once I had my first carder loaded with locks I laid it on my lap and stared at the ceiling tiles above my head. Surely, embedded in the cracks up there I would find information on how to DO this. After a bit of experimentation, some snarling, and a few minutes spent carefully prying the wool loose with a small screwdriver, I produced my first rolag. A large and woolly hot dog. “Not bad, but there must be a better way to do this,” I thought. So then I did what I should have done in the first place. I asked the internet for help. I found this video, by Sue MacNiven, very useful. In particular, I learned how to unload my carders without resorting to using a screwdriver. After that, I powered through the rest of my washed Romney locks in short order. “I should have bought more Romney,” I moaned to myself. Oh well. The next task is to try spinning them and see how that compares to spinning commercial drum carded batts. Soon enough, once I get around to cleaning some of my new fleece, I will have more wool to card than I know what to do with. Many (many!) years ago when I first learned to spin, I quickly had more yarn than I could knit. The most practical way to resolve this dilemma, I thought, was to learn how to weave. 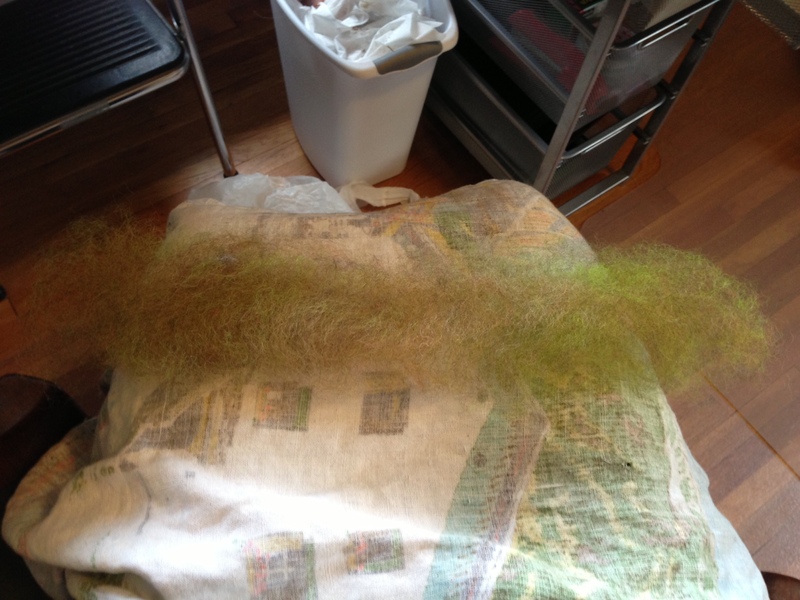 And dye. And felt. Never enough time (sigh), but I am never bored! Hah. I picked up a continuous strand loom at BSG for precisely that reason. 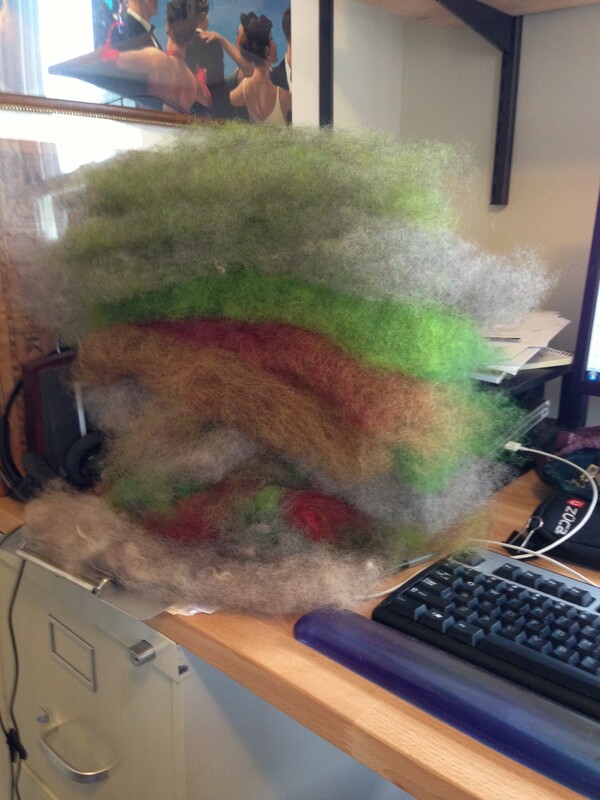 I have quite a bit of fleece still to be carded and spun. There is never enough time to do it all. But then, that is the fun of it all 🙂 Thanks for sharing this video, she truly explains it quite well. m.
I have never carded fiber before. (I buy it prepped) But, you seem to have nailed it. Hah. It does sort of look like that! Isn’t it amazing??? There is something very satisfying with washing and blending from scratch! Can’t wait to see the finished product! Didn’t turn out nearly as ugly as I imagined. I really enjoyed myself. I’m sure you would too. Exciting! I still have yet to take this plunge. I just learned to spin, so I’m still working on that. Carding is intimidating! I have lots and lots of alpaca, if you want to try some of that! I live just south of Eugene. Sadly I’m not local to Eugene. But I do enjoy spinning alpaca.